DNA Test in Greater Noida Uttar Pradesh can now be ordered on the phone. Diagnostics and Genetic Center has opened up collection center for its prestigious clients who used to travel to Delhi for this test. In recent years, DNA Tests have seen a remarkable rise in demand. DNA test can be done for Infidelity, identification of dead bodies, peace of mind, ancestral findings, adoption and crime cases. Catering to the needs of such people, DDC Laboratories India has opened up various collection centers all over India. So if you are looking for a reliable laboratory for DNA Testing in Greater Noida, you just need to call and ask for the most appropriate test for you. Even the drug history can be detected with a DNA test. DDC laboratories India is assessed as the most dependable laboratory for DNA paternity testing. We are in coalition with DNA Diagnostics Center Inc. USA, the world leader in providing AABB accredited DNA testing services. 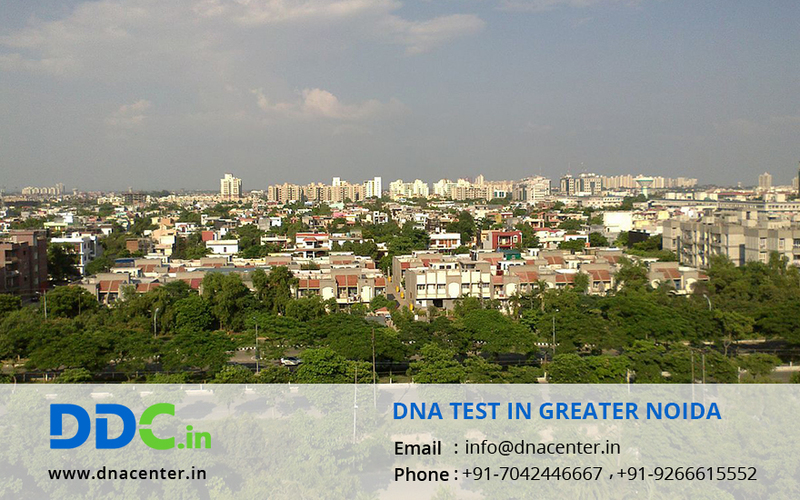 We collect samples for all kind of DNA tests in Greater Noida Uttar Pradesh center. We are always more than happy to serve all kind of DNA tests as per the customer requirement. To know more please fill the form and our executive will contact you. You can also give us a call for any queries or to make an appointment at +91 7533008488.